invited by Laurence Olivier, who could see the talent in Hopkins. 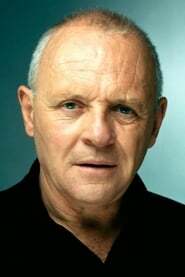 In 1967, he made his first film for television, A Flea in Her Ear (1967) (TV). From this moment on, he enjoyed a successful career in cinema and television. In 1968, he worked on The Lion in Winter (1968) with Timothy Dalton. A Bridge Too Far (1977) with James Caan, Gene Hackman, Sean Connery, Michael Caine, Elliott Gould and Laurence Olivier, and Maximilian Schell. In 1980, he worked on The Elephant Man (1980). Two good television literature adaptations followed: Othello (1981) (TV) and "Hallmark Hall of Fame: The Hunchback of Notre Dame (#31.2)" (1982). In 1987 he was awarded with the Commander of the order of the British Empire. This year was also important in his cinematic life, with 84 Charing Cross Road (1987), acclaimed by specialists. In 1993, he was knighted. as "Mission Commander Swanbeck (uncredited)"
as "Don Diego de la Vega / Zorro"
as "Dr. John Harvey Kellogg"
as "C. S. 'Jack' Lewis"
as "Corky Withers / Fats (Voice)"
as "Lt. Col. John D. Frost"
as "Prime Minister Yitzhak Rabin"